Bed 1. King size bed plus two single beds (stored under). Substantial hanging and storage.Doors to upstairs terrace with table and 4 chairs. Bed 2. 2 single beds.Wardrobe and drawers. Bed 3. 1 large sofa bed, draw storage provided. Travel cot provided. The Kitchen: 5 ring stove, large oven/grill, dishwasher, fridge/freezer, substantial range of cooking utensils and ample storage. Large dining table seating 8 people. Living Room: Large open plan living room with two large sofas and armchair, occasional tables and working fireplace. Portable CD player (with a selection of CDs). Bedroom 3 can also be used as a TV room. TV/DVD (selection of DVD's), playstation 2 (no games provided). Books and games provided. Linen and towels are provided. Property will be cleaned for arrival. 4 beach towels and 2 x hairdryers provided. For comfort and space we suggest a maximum sleeping capacity of 6. However the property can easily sleep up to 8 people if required. Ceiling fans are provided in Bed 1 and 2. Portable fan in Bed 3/TV room. Central heating throughout. Open log fire. Outdoor loggia with table and 8 chairs. 6 sun loungers. BBQ and Firepit. Upstairs terrace with table and 4 chairs. Ample parking and large garden. Working pizza oven. Large garden with lower terrace eating area. Property and surrounding area not suitable for the infirm. Please note that there is a open staircase (with wall handrail). 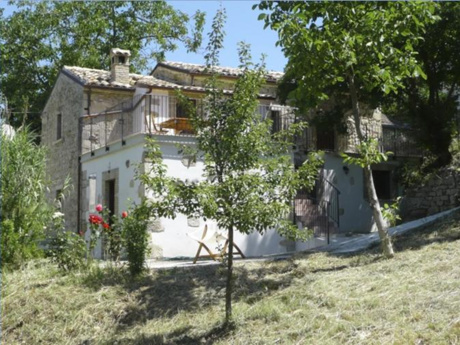 Located near Lake Penne and set in the World Wildlife Fund Conservation area this property offers a fantastic base for exploring the dramatic mountain region of Gran Sasso and the idyllic sandy beaches of the Adriatic coast. Whether you wish to explore or simply enjoy the quiet life, this luxuriously furnished farmhouse can offer numerous activies such as swimming, tennis, horseriding, fishing & golf or can be an ideal location for painting and gentle walking or a peaceful setting for writing that book you have always promised yourself you would do! Bars & restaurants are only a short drive away but extensive facilities for cooking at home include a fabulous working Pizza Oven, BBQ and firepit. Wine tasting trips (to ease your way!) can also be organised and well as accompanied golf trips - at extra cost. Delightful sandy beaches are within 30/40 minutes easy drive from the house. Pescara and Montesilvano have a promendade with restaurants which have their own private beaches. A small fee for use of umbrella and lounger can be paid. Some also have swimming pools. Elsewhere beaches have small beach bars serving fabulous food. You can either bring your own loungers or hire them when you get there. Large golf course at Miglianico (about 1 hours drive). Fantastic facilities include 9 and 18 holes, driving range, putting green, swimming pool and restaurant. Local skiing (approx 45 minutes) at Passo Lanciano. Other resorts within 1-2 hours drive. Penne, a Medieval walled town with a fantastic history is only 5-8 minutes drive from the house. Pescara and Chieti are approx. 35-40 minutes drive. Chieti has some fascinating Roman remains (check out museum). Pescara is a busy Port and has some great shopping opportunities! The capital town of Abruzzo, L'Aquila is approx. 1 hours drive via the stunning mountains. Loads of quaint villages can be missed if you don't explore - speak to owner for a more detailed overview of the area. 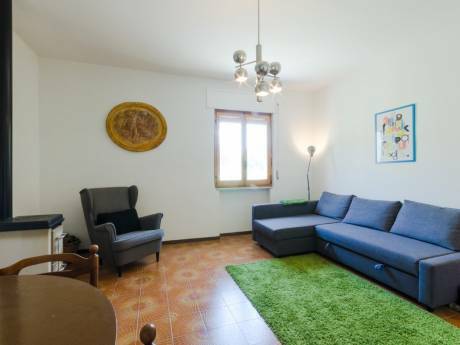 Supermarkets, banks, post office, shops and restaurants are within 5 minutes drive in Penne. Sports Centre with swimming and tennis also in Penne. Market day in Penne is Saturday. Further details can be given on request. Pescara Airport approx. 35 minutes drive. Ryanair fly direct from Stansted to Pescara. Pescara Station and Ferry port about 35/40 minutes drive. There are four car hire companies at Pescara Airport (Ryanair have a deal with Hertz) - check their web site. Ancona Airport is approx. 2 hours. Rome Airport is approx. 2.5 hours drive but its a very easy motorway drive. There is more airline choice flying to and from here. Why not combine a 2 centre holiday with Rome! 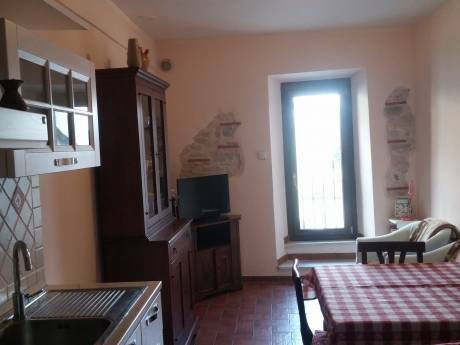 We are a family with two teenage boys and love using our house in Abruzzo and offer our property because we would like you to also experience this wonderful part of Italy. We have enjoyed holidaying all over the world and know what most people expect when it comes to comfort and style in their holiday expectations. Our home in Italy reflects good taste and an understanding of people's requirements. We are always open to any suggestions to improve our home but think you will find it a pleasure to stay in a 'home from home'.